After reviewing security video at a Germantown, Maryland, Walmart, police determined a woman seen there is not the mother of two missing children, News4's Jackie Bensen reported. At 8:55 p.m. Thursday, a caller had reported possibly seeing Catherine Hoggle wandering around the Walmart at Milestone Shopping Center. The desperate search continues for the children and for Hoggle, who disappeared Monday shortly after her husband realized their two youngest children were missing. Teams searched Darnestown Park on Route 28 just after noon Thursday for 2-year-old Jacob Hoggle and 3-year-old Sarah Hoggle. Scores of police and searchers spent the previous day in a wooded area near the Seneca Creek Greenway. There's been no sign of either child since their disappearance earlier this week. Missing Md. Woman's Father: "Come and Get Help"
The grandfather of two young children who've been missing since the beginning of the week in Montgomery County issued a tearful plea to their mother, who's suspected in their disappearance. "If you just come and get help, we'll all help you," Catherine's father, Randy Hoggle, said Thursday. Police have charged the children's 27-year-old mother with two counts of misdemeanor child neglect. 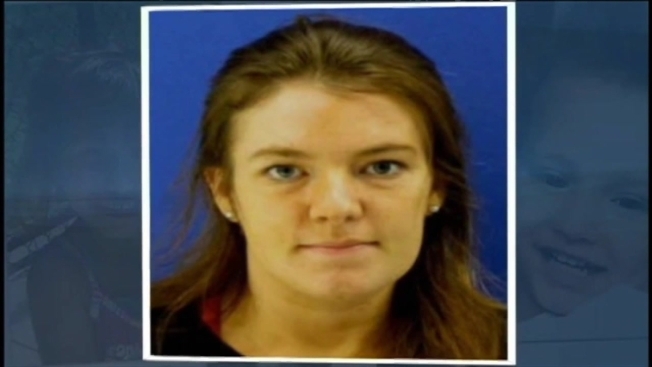 Catherine Hoggle, whom police say has been diagnosed with paranoid schizophrenia, was last seen on surveillance video in the downtown Germantown, Maryland area at 4:40 a.m. Tuesday. Police believe she had been in a building in that area for nine hours. They said they found the contents of her purse in a bathroom in that building. Jacob was last seen at his grandmother's Gaithersburg home Sunday afternoon. Sarah was last seen Monday morning at their home in the 12200 block of Elm Forest Court in Clarksburg. Police say Hoggle's common-law husband, Troy Turner, called them at 8 p.m. Monday to report that Hoggle and two of their three children were missing. The investigation into the disappearance of two children indicates their mother, also missing, may still be in the area. She was charged with child neglect Wednesday. News4's Jackie Bensen reports. Then, at 5:50 a.m. Monday, Hoggle left her Clarksburg home with Sarah, telling Turner that she was dropping off the girl at a daycare center. When she returned home at 8:30 a.m., she told Turner that she had taken both Jacob and Sarah to the unknown daycare. 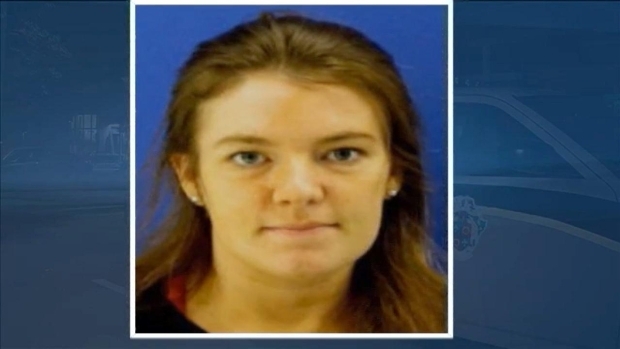 Late Wednesday afternoon, Montgomery County police issued an arrest warrant for a woman -- who's also missing -- in connection to the disappearance of her two young children. News4's Pat Collins reports. He decided to go to the police for help, but first, the couple stopped at a Chick-fil-A in Germantown. Hoggle slipped out of the restaurant unnoticed, and Turner called police. Police say a K9 unit tracked her to the area of the Germantown Transit Center at 19945 Aircraft Drive. She was then seen on surveillance video in the area at 7:15 p.m.
At 4:40 a.m. Tuesday, Hoggle was captured on video in the area of Route 118, also called Germantown Road, between Interstate 270 and the Germantown Commons shopping center on Middlebrook Road, police said. Her purse and credit cards were found there. 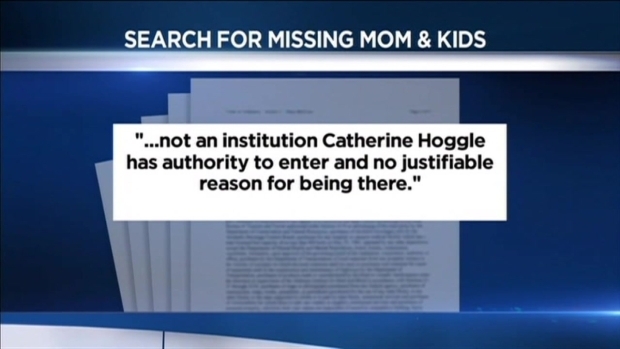 "We're working with the owners of that building, we're working with the people in that building to try and determine what it is that Catherine did inside there," Montgomery County police Capt. Darren Francke said.